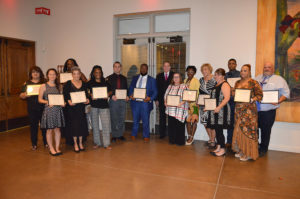 Gallery | Community Options, Inc.
Community Options, Inc. seeks to recognize employees who exemplify excellence. 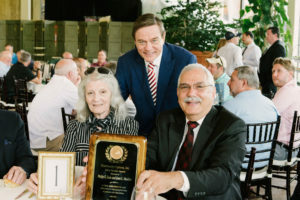 Award winners are honored at the 2018 annual iMatter Conference. On September 23rd -26th, 2018, Community Options hosted its 12th Annual iMatter Conference at the Andaz Scottsdale Resort & Spa located in Scottsdale, Arizona. PRINCETON, NJ (August 28, 2018) – Earlier today, Community Options, Inc. celebrated the grand opening of a new home in Princeton with a ribbon cutting ceremony. Senator Kip Bateman, Assemblyman Andrew Zwicker and Mayor Liz Lempert were in attendance. One of the residents that moved into Dorann Avenue is Jack Lidstone. Jack is twenty-three years old and will be living independently for the first time in his life. His family has lived in Princeton for nearly twenty years, and he also works at the local McCaffrey’s Food Market. For Jack, who has autism and ADHD, his challenges are more unique but can be met and overcome with the right supports. He and his family have always set and met personal goals, including finding meaningful employment and the opportunity to live independently. Moving into a new home in Princeton helps fulfill that goal, while also allowing Jack to remain close to his family and friends. The four-bedroom home, which will provide special needs housing credits towards Princeton’s affordable housing plan, was acquired through a funding partnership with Princeton. The funding allowed Community Options to fully renovate the home to meet the needs of the residents. This is the third Community Options home in Princeton, and the twenty third in Mercer County. Overall, Community Options operates 137 homes in New Jersey and supports 725 individuals through residential and employment services. Community Options is grateful to have the support of board members Phyllis L. Marchand, Phil Lian and James Spano, who attended today. For 29 years, Community Options has developed housing and employment programs for people with disabilities – serving thousands of people through over 40 offices across 11 states. Community Options provides advocacy assistance to empower people with disabilities because all people – regardless of ability level – should live and work in the community with dignity, choice and self-determination. For more information please visit our website: www.comop.org and to follow along with the ComOpCares campaign, search #ComOpCares on Facebook, Twitter and Instagram. 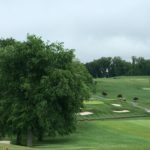 On May 21, 2018 Community Options hosted its Annual iMatter Spring Golf Classic at TPC Jasna Polana in Princeton, NJ. On September 24-27, 2017 Community Options hosted its 11th Annual iMatter Conference A Meaningful Life Conference on Supported Employment at the Francis Marion Hotel in Charleston, SC. On September 24-27, 2017 Community Options hosted its 11th Annual iMatter Conference A Meaningful Life: Conference on Supported Employment at the Francis Marion Hotel in Charleston, SC. The Welcome Reception was Sunday, September 24th @ 6:00 pm at Francis Marion Hotel - Carolina A Ballroom (Mezzanine Level). On September 24-27, 2017 Community Options hosted its 11th Annual iMatter Conference A Meaningful Life: Conference on Supported Employment at the Francis Marion Hotel in Charleston, SC. 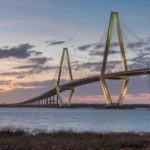 Awards Dinner cruise on Tuesday, September 26th aboard the Spirit of the Lowcountry on the Charleston, SC Harbor. 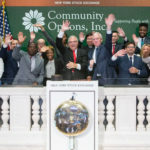 On August 17, 2017, Community Options, rang the Opening Bell at the New York Stock Exchange. May 22, 2017 Community Options, Inc. Spring Golf Classic at The Union League Golf Club at Torresdale in Philadelphia, PA.
A Celebration of Community Options’ 20 years of service in New York City. 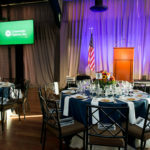 Gala held Thursday, October 6, 2016 at The Lighthouse at Chelsea Piers in New York, NY.